As I am writing this, it is the first official day of turning the clock back. While that means darker evenings, to me, it also triggers the fact that I need new socks. As I have been grinding out my most miles (March – October), my socks have taken a beating as a result. Therefore, I generally like to start reassessing my foot coverings, see what needs to be given the heave-ho, and keep my fingers crossed that Santa knows how to best stuff a stocking. Swiftwick has a few great options this fall and winter season. 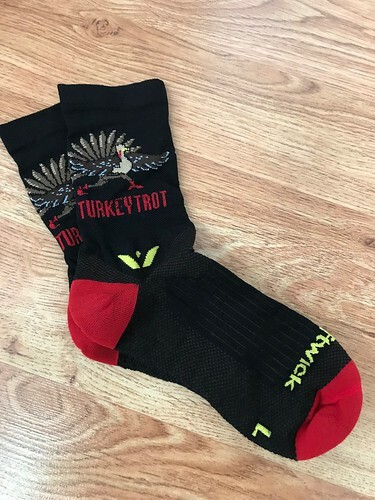 The Vision Five Turkey Trot 2018 is their turkey trot sock – a strong Merino wool offering that is part of their VISION line. Socks in this line come in awesome colors, styles, and themes AND also a percentage of sales from the grouping goes to charitable initiatives. It seems like wearing Turkey Trot socks to a Turkey Trot (which usually benefit fantastic causes themselves) is a double win! Both the Pursuit Zero and the Pursuit Four are socks from their newly restructured PURSUIT line. They remain made from merino wool here in the States and has a new reinforced heel and toe, along with and extended heel pocket for better durability. These are super comfortable and I feel a little more padding where they say there should be. They may be great for the fall and winter, but it’s really made for all seasons with its ability to provide warmth and cooling when the situation dictates. This line comes in multiple different color stylings (depending on the style) and six different heights – so regardless of if you are a no-show or full-calf sock wearer, they got you covered. 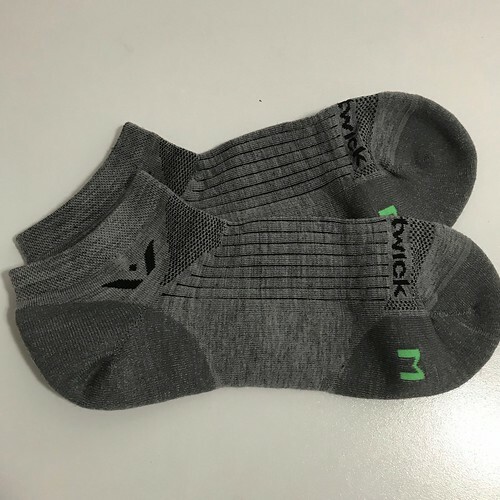 Sustainability remains a core initiative in all Swiftwick products—they are durable, made in the U.S.A. to reduce garment miles, and knit with fibers that minimize waste and energy consumption. Thank you to Swiftwick for providing us with sample pairs. Please read our transparency page for info on how we do our reviews.